The NEW Manhattan Prep 5 lb. Book of GRE Practice Problems is Out! The NEW Manhattan Prep 5 lb. Book of GRE Practice Problems is Out Now! We have some exciting news to share in GRE Land—a new edition of our bestselling 5 lb. Book of GRE Practice Problems enters the world today! If you aren’t familiar with the 5 lb. Book, let me tell you—it’s my favorite of all the Manhattan Prep GRE products. I destroyed it when I was studying for the test. Struggling with exponents, I tore out the exponents chapter and did them on the train. Worried about rates and work problems, I cut them out of its pages and carried a stack around with me to do and redo in my downtime. I ransacked the chapters of any topic that I found difficult or daunting. (Can you say combinatorics? No, I mean literally, can you say it? Because I couldn’t until I started working here at Manhattan Prep.) I love that the chapters are organized by topic, so you decide where you need practice and take a targeted deep dive. With over 2,000 GRE practice problems, you’re going to find the practice you need. We’ve added eight mini mixed sets—four Quant and four Verbal—for you to use for timed practice. There are 10 practice problems in each set (half of a full GRE section) for you to do within 15 minutes (Verbal) and 17.5 minutes (Quant)—half the time of a full GRE section. I’m so, so thrilled about this addition, because we often hear this from our students: Where can I find all of the math rules in one place? Until now, we haven’t had a great solution. But in the 3rd edition of the 5 lb. Book of GRE Practice Problems, you’ll find four sets of Math Facts for the GRE, organized by topic area: algebra, arithmetic, geometry, and statistics. These are great for quick and easy reference when you forget a formula or rule. And these are definitely the kind of resource that, during my GRE study days, I would have torn out of the book and carried around with me in my bag. The third and final new section of the new edition are our math drills—100 of them, organized by topic (absolute value, algebra, averages, circles…to name the first few). This way, you can drill to drive home particular concepts and save the GRE-like problems for when you feel like you’ve got the idea and are ready to practice in the “real” test format. This isn’t to say you should do drills first and save the book’s GRE practice problems for after. I suggest you move between the drills and practice problems as needed. 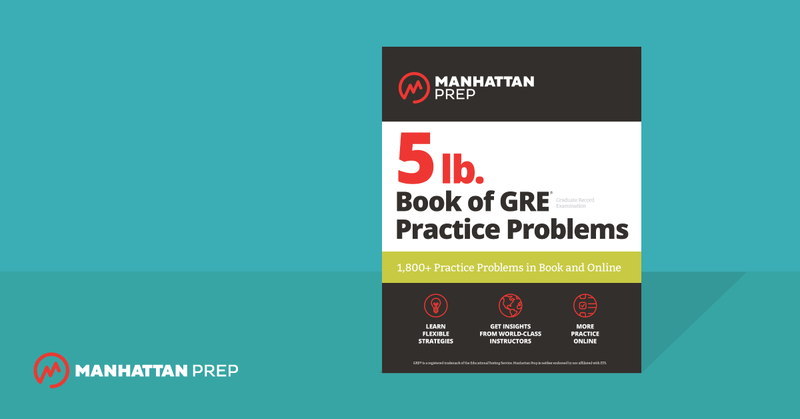 If you’re struggling on the GRE practice problems, revisit the topic in the Math or Verbal Strategy Guide, try a few of the 5 lb. Book drills, then return to GRE practice problems. And last, as a perk of buying the new edition, you’ll get an enhanced free trial of Interact for GRE, our on-demand learning platform with video lessons, drills, and quizzes. After registering for the trial (you’ll find instructions inside your book), you’ll have access to the first 15 lessons of Interact and the corresponding GRE practice problems. 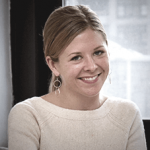 Mary Richter is a Manhattan Prep instructor based in New York, NY. She’s also GRE Product Lead and an Instructor Manager at Manhattan Prep. Her first novel will be published in 2019. Check out Mary’s upcoming GRE prep offerings here!